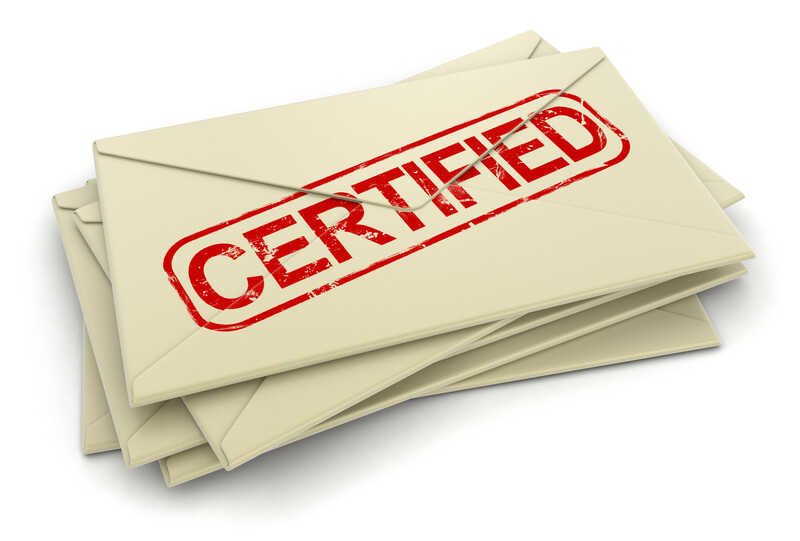 HomeUncategorizedSending Inquiries: Are You Getting All Benefits From Certified Mail? Sending Inquiries: Are You Getting All Benefits From Certified Mail? USPS ships over 6 billion parcels of mail every year. That tremendous volume dwarfs what other shippers manage. Why is USPS so popular? Convenience and price. There is a post office in just about every city in America (sometimes many more than one) which makes this shipper many business’ go-to logistics partner. With size though comes faults and shipping with USPS certainly brings its share of headaches. Fortunately, most of these headaches can be circumvented with certified mail. Below, we share the core benefits of shipping via USPS certified mail so you can determine whether or not it’s the right solution for you! What good is mailing something via a particular method if that method is inconvenient? We’d say not good at all. Inconvenience was something that plagued certified mail for a long while because it used to be that you had to go into the post office to get a certified mail label. Today, this website and a handful of others allow you to print out certified mail labels online so that you can ship certified straight from your home or office! With all of the parcels of mail that USPS handles, it can be quite easy for your parcel to get mishandled as it gets buried in the shuffle. Mail sent certified is treated differently though. Certified mail tells handlers that your parcel is of extra-importance. Handlers also know that certified mail is being tracked more diligently by headquarters than non-certified packages. Both of those factors often lead package handlers to more closely monitor the well being of items carrying a certified seal. There’s this misconception that high quality of care can’t be experienced through USPS and that if you’re looking for assurance that your package will arrive at its destination, you should ship with UPS or FedEx. While it’s true that some packages can get lost in the shuffle with USPS, as we mentioned in our previous point, certified mail assures you that your package will receive priority service. Getting that kind of high-quality service at USPS’ price point will give you the best, both of the cost and service worlds. If you’re sending important documents with any shipping provider, you are going to want some sort of proof that what you were supposed to mail got mailed. You can’t get that assurance if you just drop a letter in a mailbox. With certified mail, you’ll get a receipt that claims your package was dropped off with a postal carrier. That receipt can bail you out of a difficult spot should your package get lost. Sure… You can pay extra money to get a tracking number on your packages. But that’s an annoying added expense that’ll start adding up over time. With certified mail, tracking numbers come standard. No more forgetting to add one on when you’re sending something and praying that what you send out gets to its destination! Certified mail can’t just be thrown in a mailbox or on a doorstep where somebody can swipe it or a recipient can claim that somebody did. When you send via certified mail, you’ll always send with the assurance that whoever you sent your package to will get it or the package will be returned to you. That’s because postal carriers need to hand certified mail to the recipient directly in order to complete its delivery. Once that handoff takes place, you’ll be notified via text message and/or email that your certified package was successfully delivered. Having a solid paper trail backing your mail parcels can be extremely important if you regularly ship important items. For example, if you shipped a legal document that you later needed to prove was sent in court and you misplaced your receipt, what would you do? Naturally, you’d log onto the USPS website to pull your package’s tracking record up online. Unfortunately, though, USPS only keeps tracking records 4 months after a package is delivered. With certified mail, your package’s data will be stored for two years! Image matters in business. If you’re sending packages to clients using a standard envelope and a stamp, you’re not going to look anywhere near as professional as you would if you were sending it certified. Bottom line – Certified seals give customers confidence in your brand’s stability and serious approach to service. At the end of the day, all of the benefits that certified mail carry mix together to offer you the ever important perk of being able to sleep comfortably at night. There’s nothing worse than sending something out and wondering whether or not it’ll get to where it needs to go. With certified mail, you afford your package every opportunity available to make it to its destination. That reality brings about a peace of mind that’s worth its weight in gold! Certified mail carries a number of tangible and intangible benefits that can vastly improve your business and personal life. We recommend giving it a try next time you’re sending something out so that you can experience all of its perks first-hand. For more information on all things business and culture, browse more of our content on OTBVA today!